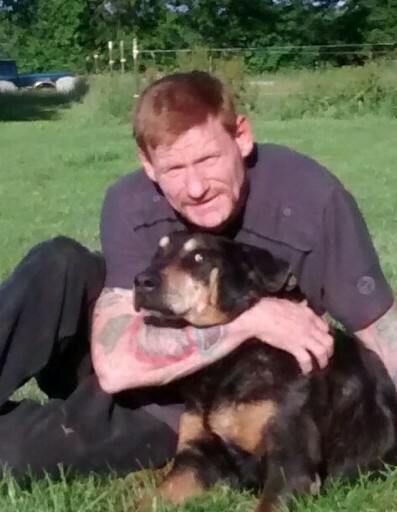 COLUMBIANA – Robert “Red Dog” Lockhart, 52, passed away Friday, August 3, 2018. Robert was born on September 30, 1965, in Warren to James Robert Lockhart and Nancy Silverio. A 1983 graduate of Crestview High School, he worked at Columbiana Pump Co. in the foundry department for several years. Robert enjoyed camping and tractor riding. He is survived by his daughter Angela Solvey and her husband Michael of Austintown, birth mother Nancy Silverio; step-mother Nancy Butler Lockhart; ex-wife Lisa Winters; two grandchildren Payton and Kelcie; and siblings Ray Hubbard, Tom Lockhart, Mary Scott and Elaine Iler, as well as many nieces and nephews. “Red Dog” was preceded in death by his father James Lockhart. Funeral services will be held on Tuesday, August 7 at 7:00pm at Seederly-Mong & Beck Funeral Home, 154 S. Elm Street, Columbiana. The family will receive friends from 5:00 to 7:00pm., two hours before the services at the funeral home. In lieu of flowers the family suggests that donations may be made to the American Foundation for Suicide Prevention (AFSP), 120 Wall Street, 29th Floor, New York, NY 10005.